Adjust the oven rack in the middle position, with a second rack directly below it. Place a foiled-lined baking sheet on the lower rack, then preheat oven to 400°F. 1. Select 4 large Russet potatoes by first inspecting them for an even brown coloration without any green tint or sprouts. Clean the potatoes by scrubbing them under cold running water with a stiff brush, being careful not to break the skin. Pat them dry with a towel, then set aside to dry for a few minutes. 2. Rub the dry potatoes with extra virgin olive oil, then sprinkle generously with coarse kosher salt (by hand or in a bowl). Pierce each potato a few times with a fork or sharp knife so the steam can escape during cooking. 3. With the oven preheated, place the potatoes directly on the middle rack1, with the foil-lined baking sheet directly under the potatoes on the lower rack to catch any drippings. Bake for 60 minutes2 undisturbed (or until the internal temperature reaches 210° F)3. 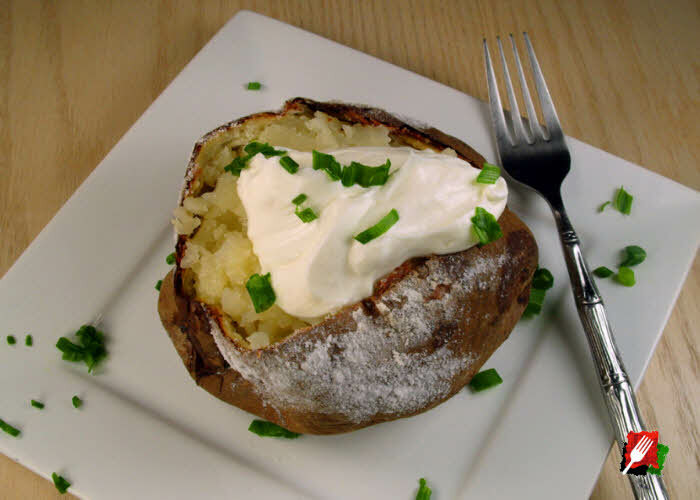 The potatoes are done when they’re crispy on the outside, fluffy and tender on the inside when pierced with a fork. 4. When done, plate the potato by laying it down and slicing across the top with a knife, then carefully squeeze it open to expose the fluffy interior (watch out for the steam!). Season with salt, freshly ground pepper, some butter, top with chopped fresh chives or scallions, and optional shredded cheddar or grated Pecorino Romano. 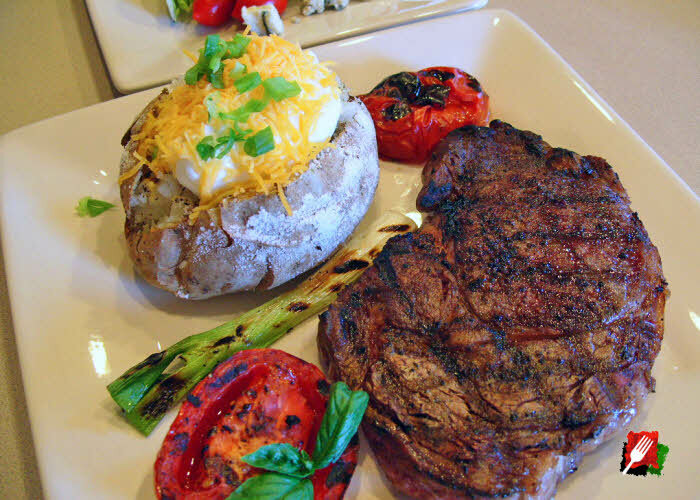 Serve immediately while hot. 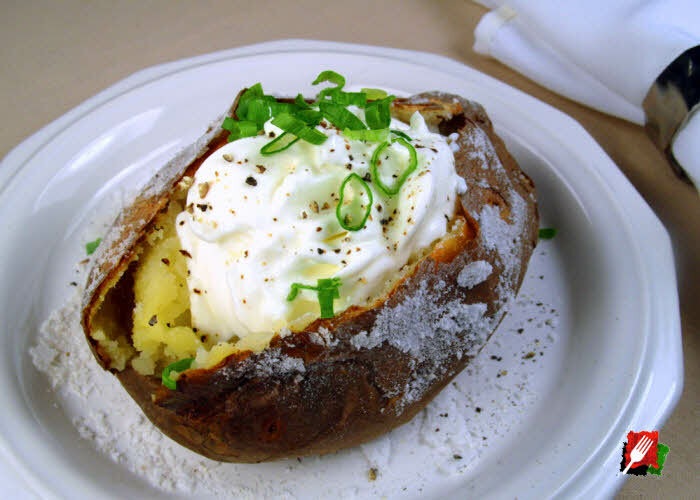 1Never bake a potato in foil, as it steams the potato rather than developing a crispy and crunchy crust. 2If cooking more than 4 potatoes at a time, increase the cooking time by 15 minutes. Adjust the oven temperature up or down depending on the size of the potatoes you’re using.